Raquel has always had an affinity for celebrity news. In her youth, she had subscriptions to Fresh and Word Up! magazines. In addition to this, she always read her mom’s copy of Latina. A lover of pop culture, she often served as the go to source for information for her friends who needed an update on the latest entertainment news in the world of music, movies, and Hollywood. Raquel is a former Chicago Public School teacher turned entrepreneur. 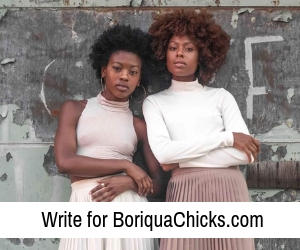 As a proud Afro-Latina, she was inspired to launch BoriquaChicks.com. She created this website to highlight news around Afro-Latino/a celebrities. Over the years it has evolved into an entertainment and lifestyle website that covers stories related to African-Americans, Latinos/as, and Afro-Caribbeans. 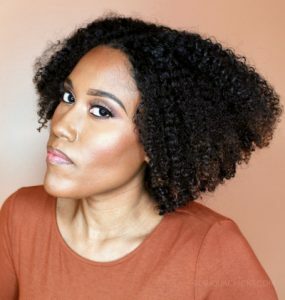 Moreover, the blog has been a major influence in the many discussions that are now taking place around Afro-Latino/a identity—which was less “popular” in years past. In 2014 Raquel’s visionary spirit continued when she turned her dream of opening a fast casual Puerto Rican and Caribbean restaurant into a beautiful reality. Presently, Maracas—the first Puerto Rican restaurant to open in the historic community of Bronzeville—is closed; however, it will reopen at a new location in the future. Raquel enjoys listening to music and spending time with her little ones. From conversations with her mom about Afro-Latino/a identity growing up, to studying abroad in Oaxaca, Mexico and visiting the Pueblos Negros (the Black Villages) along the coast as a college student, Rebecca’s journey has reflected a curiosity around identity—specifically her Afro-Latino/a identity.This interest led Rebecca to join her sister’s blog BoriquaChicks.com, where she often blogs about entrepreneurship and identity, as well as manages the brand. Since her involvement with Boriqua Chicks, Rebecca has been instrumental in increasing readership and creating advertising partnerships. 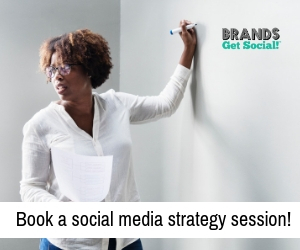 When Rebecca isn’t blogging at BoriquaChicks.com, she is consulting with brands about social media and marketing. Rebecca loves to eat at vegan restaurants and enjoys traveling to new and exciting places.